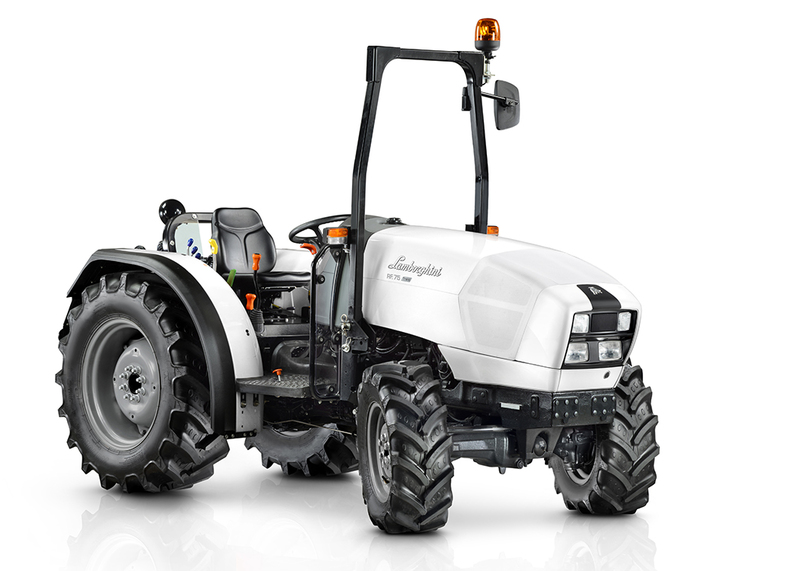 RF Trend: The long traditions of Lamborghini in specialist applications shine through the superiority of RF Trend tractors in the vineyard, fruit orchard and greenhouse. 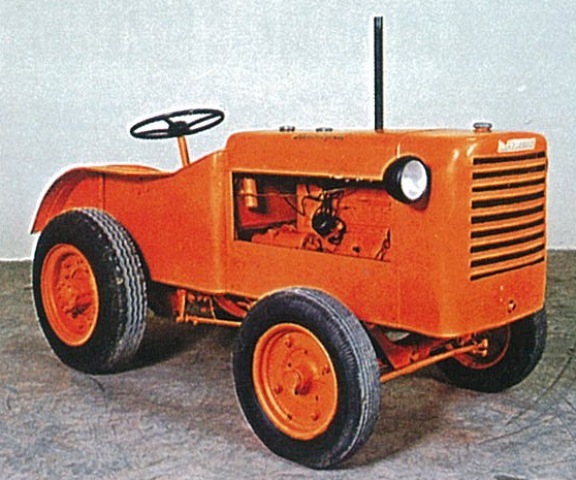 The long traditions of Lamborghini in specialist applications shine through the superiority of RF Trend tractors in the vineyard, fruit orchard and greenhouse. A family of models ideal for manoeuvring in the tightest spaces to deliver unparalleled productivity with low running costs. 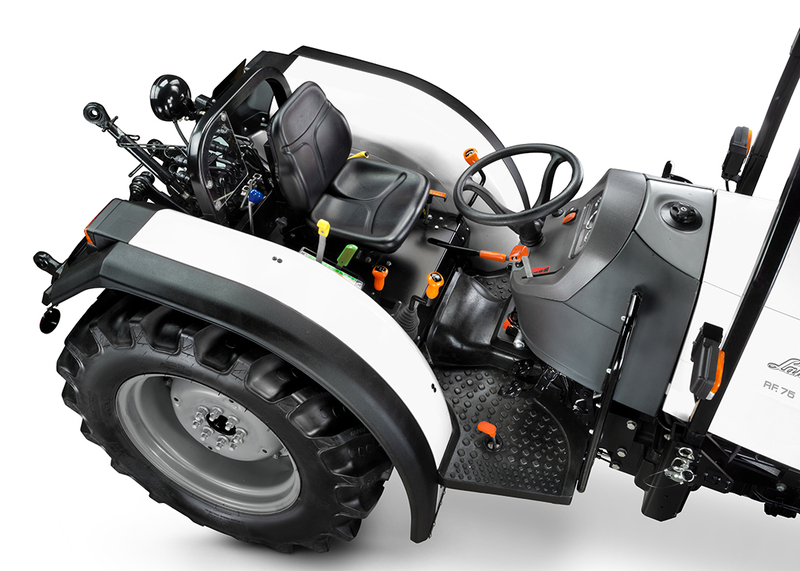 The RF Trend range consists of four models that are perfect for day to day work in the vineyard and fruit orchard: RF Trend 55, RF Trend 65 and RF Trend 75 (with 3 cylinder engine), and the RF Trend 80.4 (with 4 cylinder engine). With no sharp edges or corners, the modern design of the exterior is conceived to minimise plant damage. Harmonious forms in the most elegant expression to date of the hallmark design that sets the Lamborghini brand apart. The low mudguards and generously covered rear tyres play a crucial role in preventing damage to plants and fruit. 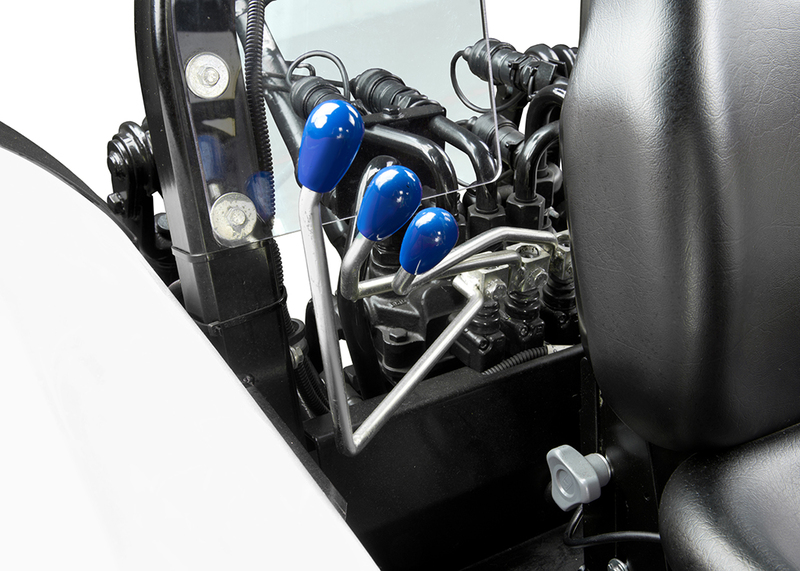 Delivering fuel instantaneously to the engine, the innovative high pressure injection system (1200 bar) employed in RF Trend tractors ensures Tier 3a emissions compliance for the 1000 Series. RF Trend are offered with 3 or 4 cylinder (depending on the model), turbo or turbo-intercooler engines with the responsiveness needed to cater for sudden peaks in load. To ensure outstanding performance, maximum torque is already available at just 1400/1600 rpm. Tractors conceived for working in the field and on the road, even in variable working conditions, without compromising fuel efficiency. Being able to work at exactly the right speed is crucial in the vineyard and fruit orchard. RF Trend tractors are available with three different types of transmission, with perfectly spaced ratios for specialised applications: a basic transmission configuration, with 4 speeds and two ranges for a total of 8 FWD + 8REV ratios; a more comfort-oriented transmission, with 5 speeds and two ranges for a total of 10 FWD + 10REV ratios; and, last but not least, a 5 speed transmission with 3 ranges and supercreeper gear (for a minimum speed of 180 m/h), offering a total of 15 FWD + 15 REV speeds. 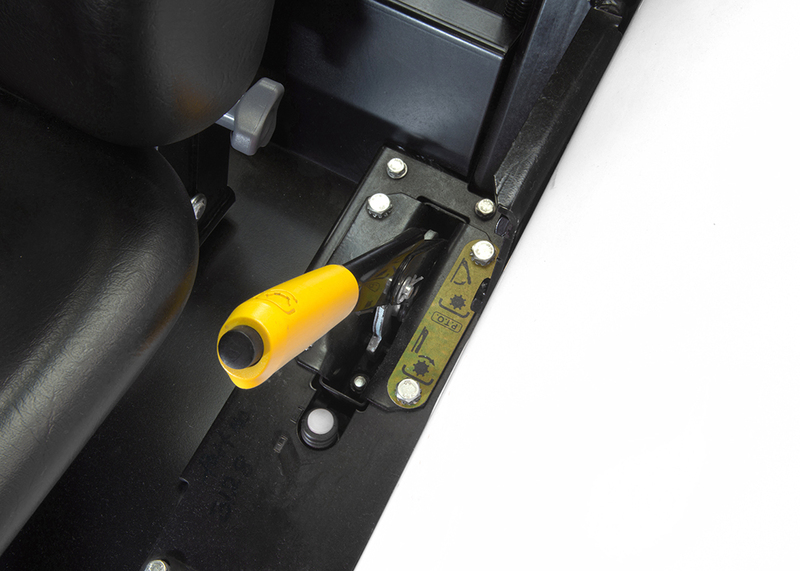 A synchronised mechanical reverse shuttle is also available, for changing direction at any speed with a single lever. 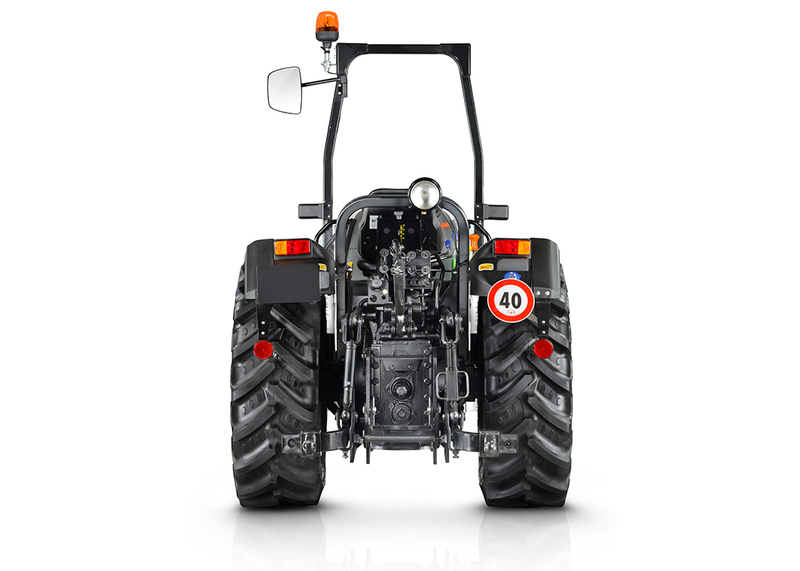 RF Trend tractors offer superlative safety when driving on the road, with an all wheel braking system on 4WD variants ensuring the shortest possible stopping distances and absolutely dependable braking power, even when using the brakes repeatedly. The reliable rear PTO (540 rpm as standard, or 540-540 ECO as an optional configuration) means that these tractors can be used economically and effectively even with the most power hungry implements such as mist blowers, inter-row cultivators and side shoot remover. 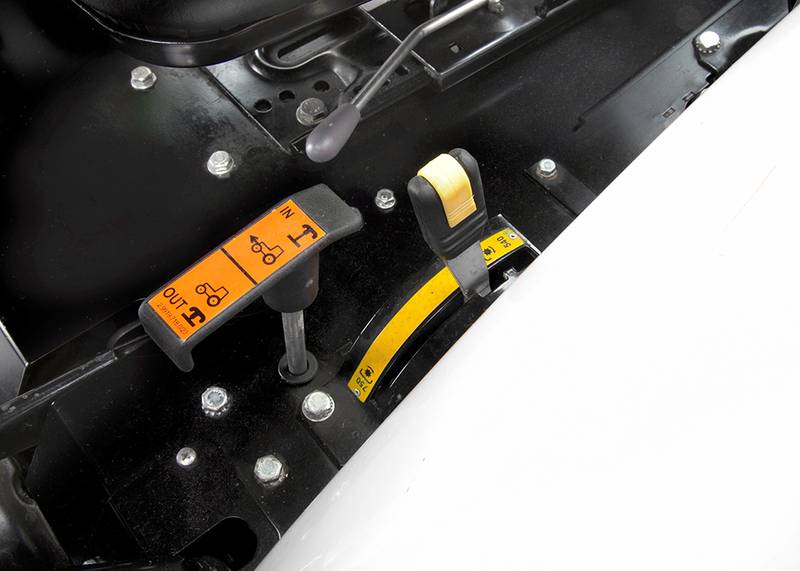 The innovative construction of the rear lift offers the driver extremely precise control over implements, with minimal effort to operate the control levers. This impressive power is made possible by a potent, dynamic hydraulic system capable of delivering enough oil flow even for the most complex rear-mounted implements. 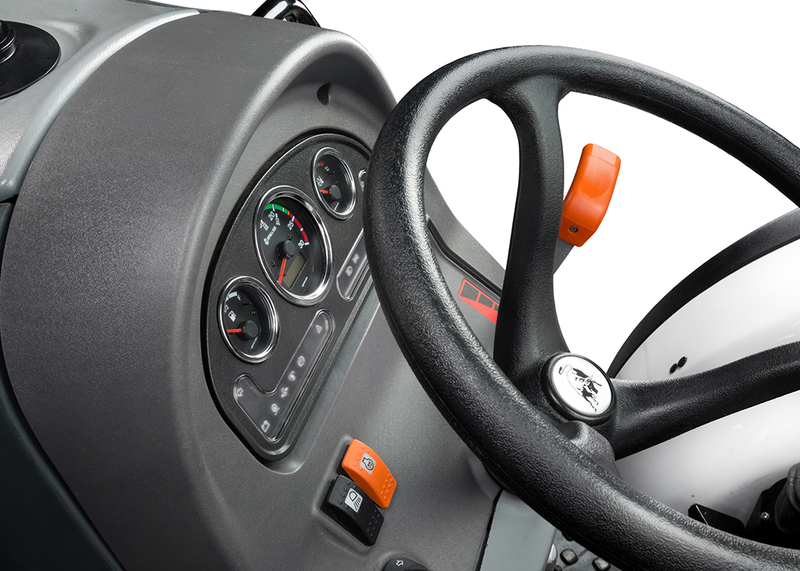 An open centre hydraulic system with a 42 l/min. pump ensures the oil flow and immediate responsiveness needed for the day to day tasks in the vineyard and fruit orchard. The mechanically controlled lift is available in two different configurations: STANDARD, with an impressive lift capacity of 3050 Kg, and COMPACT, with a lift capacity of 2700 Kg. 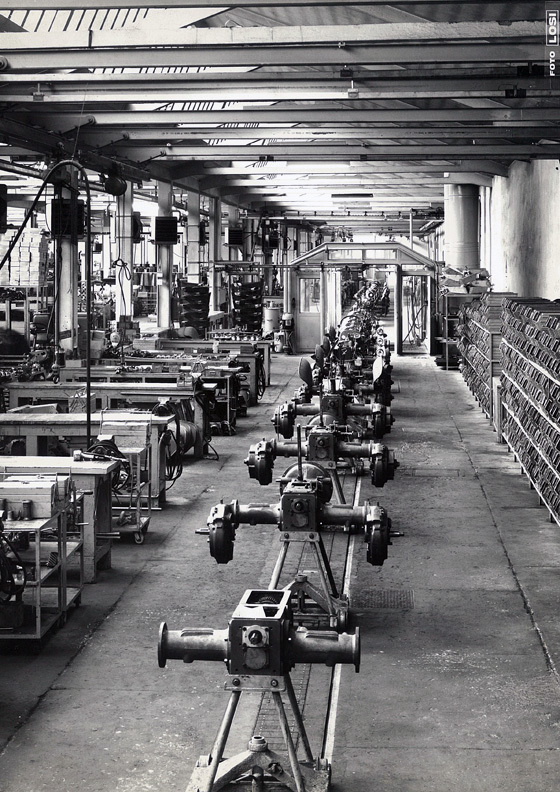 The hydraulic system is offered with 4 or 6 way hydraulic distributors. 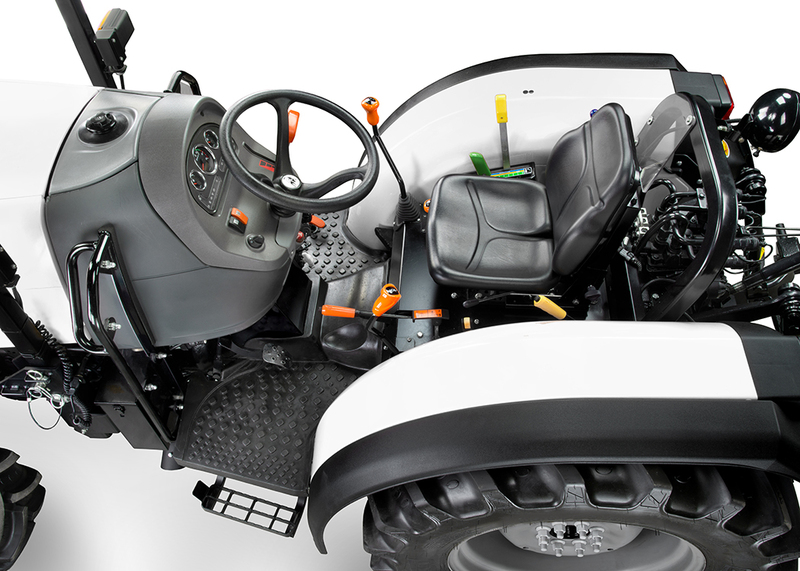 The four wheel drive system and 100% lockable differential locks, activated mechanically from a lever, ensure that all the power produced by the engine is distributed effectively to the wheels. 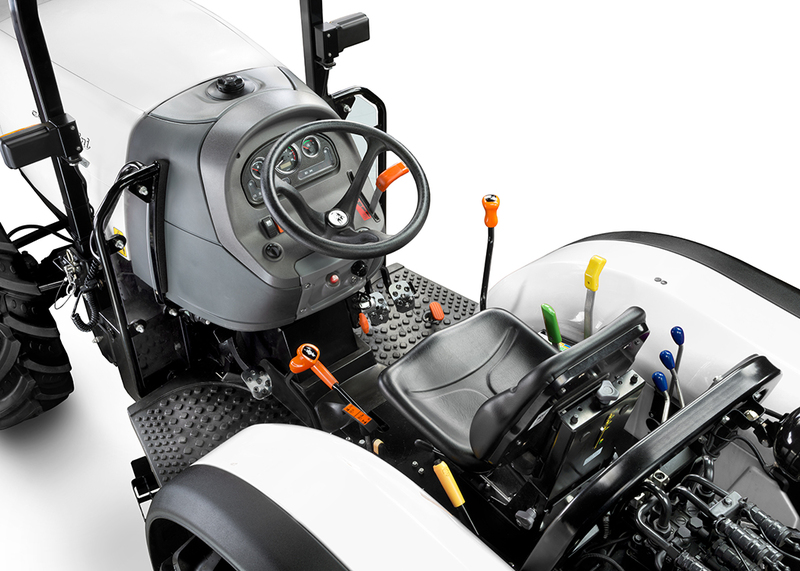 Manoeuvring a tractor between narrow rows is less of a chore with an RF Trend tractor: with an adjustable steering wheel, suspended pedals and ergonomic controls all within easy reach giving the driver an uncluttered and comfortable space to work in. The height of crucial tractor components and preventing plant damage are very important factors when working in the vineyard, fruit orchard or greenhouse. The mudguards on RF Trend tractors are compact but offer effective coverage for the rear tyres to prevent damage to plants and fruit. 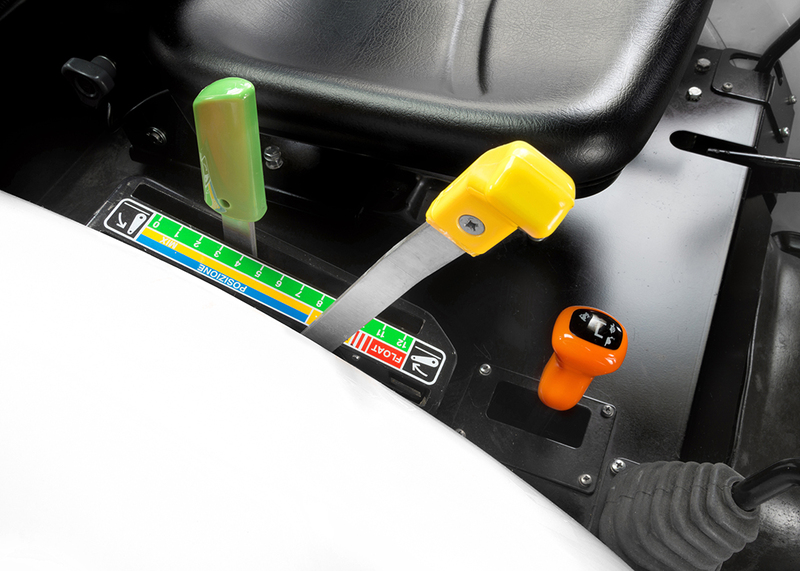 The height of the instrument cluster, steering wheel and seat are all tailored for a comfortable driving position. The low centre of gravity further improves stability when driving on gradients.